From our office in Knoxville, Tennessee, the law firm of Peterson White represents clients in family law matters. We are aggressive in our approach to the law and give each of our clients personalized representation. Your case will receive our full effort until it is resolved. We understand how difficult divorce and other family law conflicts can be. Your attorney will work to ease the stress by doing what is best for you and your loved ones. We will go to court if necessary to pursue a fair, cost-effective outcome. 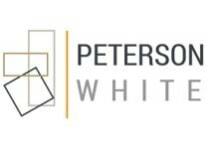 Contact the attorneys at Peterson White for effective legal assistance with your family law problem.